You can't wear gloves AND use your iPhone or touchscreen device. Here's a solution! Sooner or later, it's gonna happen. It's cold, you're outside or driving in your car. You have gloves on so your fingers don't freeze off. Then, it happens... You need to use your iPhone or touchscreen phone (or your GPS) but it doesn't work if you have traditional gloves on. Yes! Special texting gloves that work with your iPhone or whatever touchscreen gadget you are trying to use. And let me tell you - they're pretty handy AND make a great gift! Watch the video below to learn how these texting gloves work. This allows the use of touchscreen devices such as iphones, ipods, ipads, blackberry, samsung, HTC, Sat navs, PDA's and other capacitive devices. How Do iPhone Gloves Work? Gloves that work with your iPhone have silver thread woven into the glove. This enables you to make a connection with your touchscreen device. Now, don't get all freaked out thinking that these gloves will be rough or itchy - they're not. The strings of this silver thread is very, very fine. They do the trick, but YOU feel like you are wearing a normal pair of gloves. They also do NOT scratch your iPhone or anything like that. They're warm and soft - and actually help PREVENT smudges and fingerprints on your phone or gadget. There are also little texting dots you can add to normal gloves you already have. While these work, they only give you very specific points of contact to work your gadget. Can You Make Your Own Texting Gloves? You sure CAN make your own iPhone gloves! Other than buying a new pair of gloves or those texting dots to stick on, you can also get some of that metal-like thread and sew it into any ol' pair of winter gloves. Again, it's not a perfect solution, but just might be "good enough". Here's a video showing how to make your own touchscreen gloves. Oh yeah, Oprah certainly is on the iPhone gloves kick too! Once she realized how awesome they are, she added them to her famous Oprahs' Favorite Things list for Holiday Gifts under $50. The pair Oprah picked is the red pair shown on the right. They also come in other colors - pink, black, tan, and gray. Note: The Iphone compatible gloves I have are a bit different from these Oprah likes. The pair Oprah picked only has sensors on the thumb and index finger. Mine have sensors on all fingers (not sure it matters to you, but thought I'd point that out). There are many styles and brands of iPhone gloves - you're sure to find something that is both visually apealling to you AND works well. Isotoner makes a nice pair and is a brand name that is well-known for quality gloves. I also think the pink and black FreeHands gloves are really cute (they're micro-fur.....ohhhhh nice!). You can also get them in black with black fur or black with purple fur. yes, men like texting gloves too! My guys all have iPhones and really appreciate having gloves that work on their iPhone. 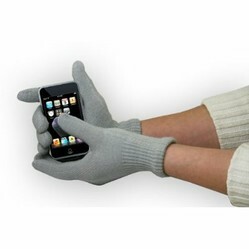 Isotoner also has a good pair of iPhone gloves for men. So does TimberLand (I've heard these aren't very warm - More mid-weight). But like the other texting gloves I've talked about, these gloves only have the thread sensors on the thumbs and index fingers (in case that matters). Use your touch screen device in cold weather without getting cold hands - Brand New Technology. I really am glad I took a chance and got a pair of these. Yes, like you, I thought it was a silly idea at first. I mean, c'mon - how hard IS it to take your gloves off? And then... it got cold and I was driving with gloves on and I couldn't even work the touchscreen radio and gps in my car without taking my gloves OFF (very annoying). Then I realized ALL the gadgets I have that require me to remove my gloves in order to operate them. I can't even answer my phone with normal gloves on (very VERY annoying). These gloves are nice and simple solution to my annoying problem. I can also work my iPod, my iPad 2, my iPhone... hmmm, I have a lot of i-gadgets...lol! Once I discovered how well these work they become an immediate gift/stocking stuffer idea for my whole i-family. As much as *my* kids text, I probably should've gotten them THREE pairs each (and as often as they tend to lose things...sigh). Thanks for stopping by and I hope this page helped keep YOUR hands a bit warmer! What Do YOU Think About iPhone/Texting Gloves? Love the idea! I'm getting a pair right now! Care To Elaborate? Speak your mind here! Wow, I definitely need one of these! Great idea! Great idea. Very funny (butcher gloves). Idea of making gloves is very interesting. I love it here at Wizzley! Hey, there. I saw this on SocialAdr. I actually get your updates at home. So how are you liking SocialAdr and Wizzley is new to me, as well. 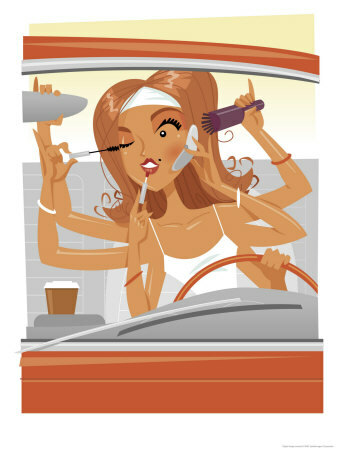 I can barely walk and chew gum so using my phone while driving is TOTALLY out of the question for me (law or no law... it's Jennifer's Law...lol! ), but just being able to change the radio station in my car without taking my gloves off is a BIG plus for me. Great idea. I use my iphone in the car (not while driving!) and it's getting too cold not to have gloves on. The gloves work with all my touchscreen gadgets. Now, I don't have a nook, but I do have a Kindle as well as all the i-gadgets AND the gps/radio in my car. Over at my blog, PotPieGirl.com, I talked about taking your online earnings to the next level and how to get there. I'd like to share some of that post here with you. The Otterbox is one of the toughest cases around. Let's look at the Otterbox for the iPad 2.